At United Sports Tae Kwon Do, we are committed to offering students age-appropriate Kids Martial Arts Classes that surround everyone with positive role models and an incredible support system. From complete beginners to experienced athletes, our classes have something for every child in Coatesville. PLUS, we offer classes 6 days a week to meet the needs of any busy schedule! Coatesville is located in Chester County and is only 5 minutes from our main location. The population of Coatesville when last estimated during the 2010 census was 13,100. 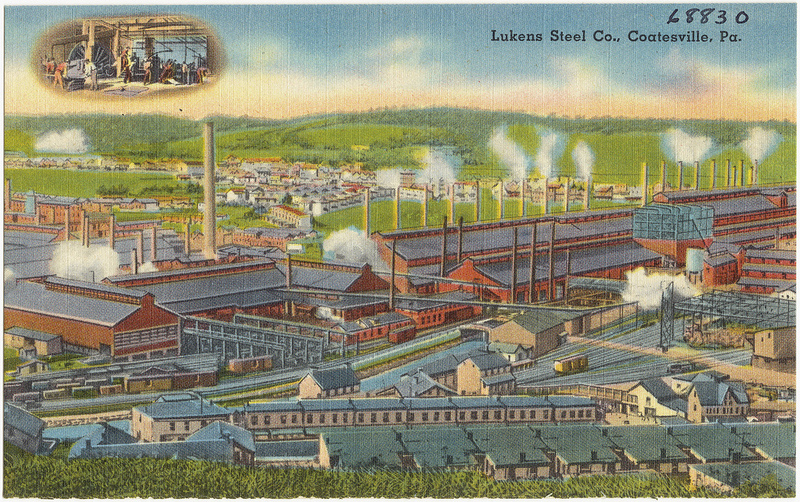 Coatesville was once a very prominent city during the early 20th century with the grown of the Lukens Steel Company. The population gradually declined after Lukens was bought by Bethlehem Steel in 1997. As the steel industry slowly collapsed in the United States so did the areas population. Coatesville has a relatively high crime rate for the area and this is mostly contributed to the amount of poverty in the town. Getting lessons for your children to help them learn to defend themselves is one of the greatest things you can do to help your child build character and gain confidence. 5 Important Questions To Ask When Searching For a Martial Arts School. Our mission is “To help students to become the best version of themselves.” We understand that children learn differently. From the grade school child with ADHD who wants to gain control and focus, to the elite athlete who wants to win a national championship, we work with every student “where they are” to guide them toward their best future.